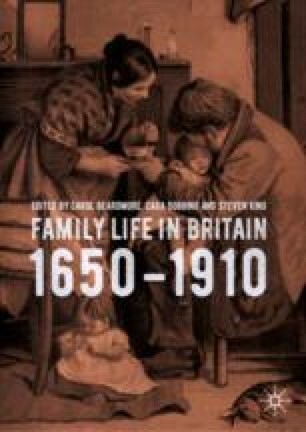 Cara Dobbing investigates the family as a process rather than a fixed entity through the Garlands Asylum. This chapter concentrates on the circulation of members of actual and fictive kinship groups through letters, personal visits, or the formation of new households. Her chapter focuses on the dependent or nearly dependent poor which takes this volume in a new direction to assess the role played by family and kin in instigating treatment of a relative, examines the importance doctors placed on family testimonies and assesses the part played by kinship groups in patient discharge. Dobbing then moves to explore how family relationships were maintained whilst a patient was resident in the asylum with a particular focus on letters and family visits to the asylum.